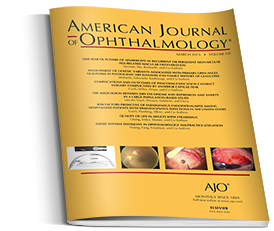 American Journal of Ophthalmology publishes original observations submitted by physicians and surgeons specializing in eye diseases. The peer-reviewed articles are clinically relevant and emphasize diagnosis, treatment methods, and drug therapy. Some editorial features are original articles, editorials, book reviews, brief reports, correspondence, abstracts from other publications, new products, and new items.